10ft Black frame pad for 3.05 m trampoline. 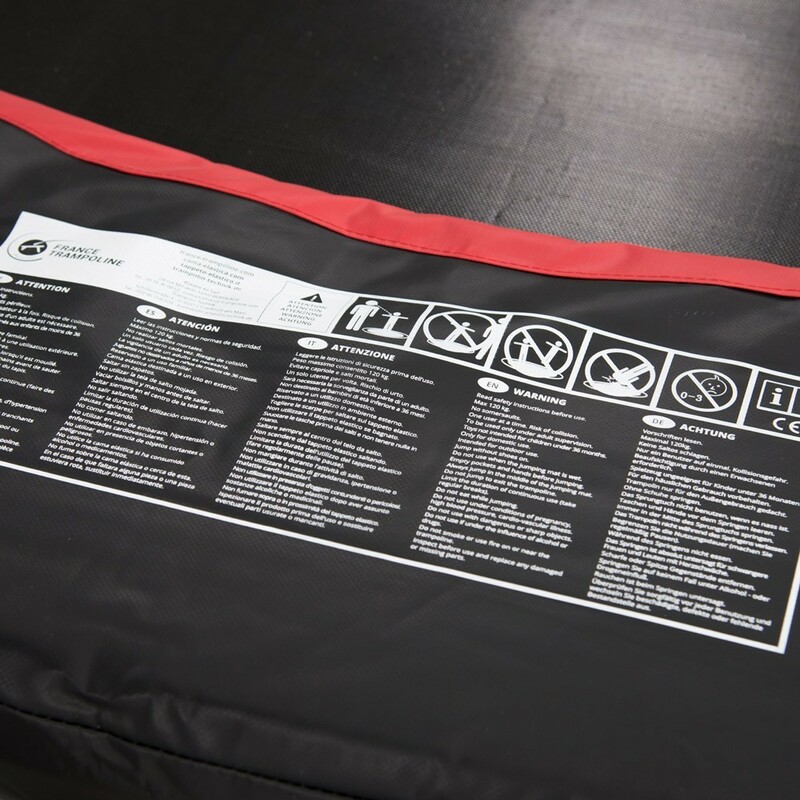 Is the frame pad from your leisure trampoline damaged? This model can replace it in order to ensure maximum safety for the jumper. 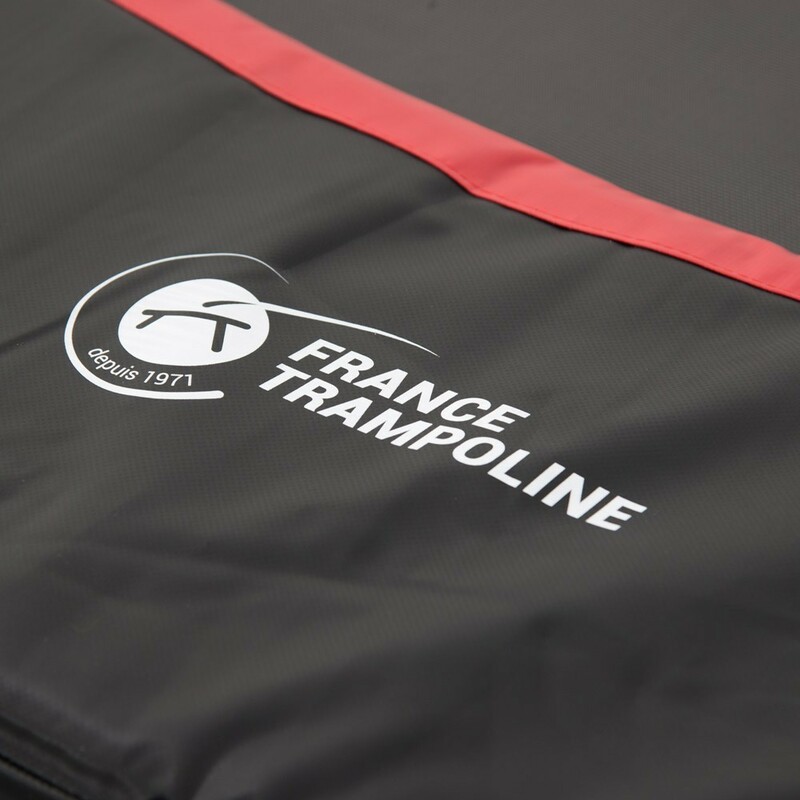 It is black and suitable for round trampolines with 3m diameter, from France Trampoline or not. - For round trampolines with a 3.05m diameter: whatever brand or year of your trampoline. 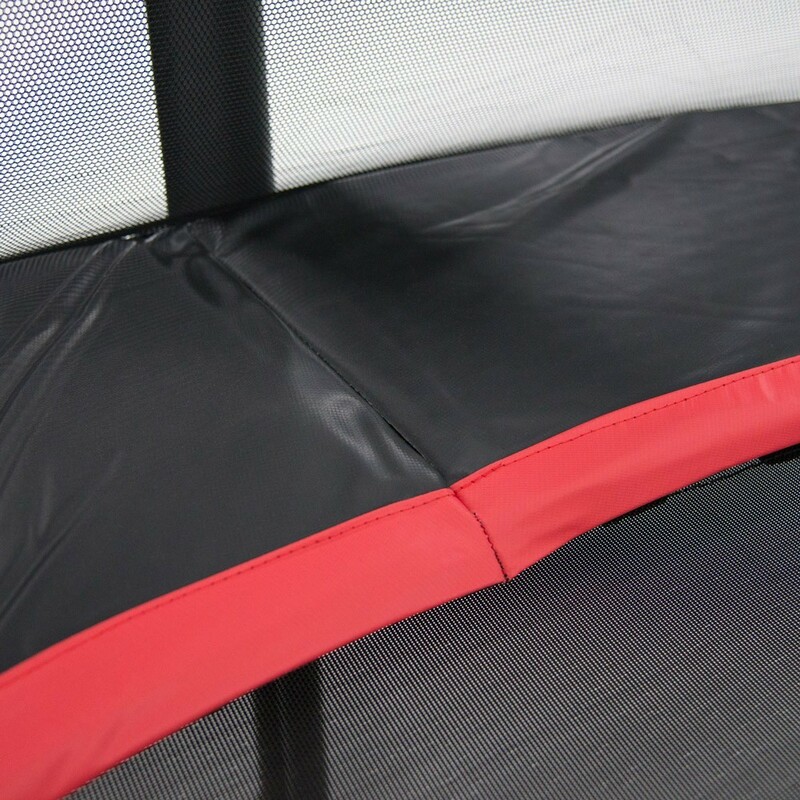 This frame pad is the same as the pad offered with the round Booster 300 trampoline from France Trampoline. - 30mm thick: the frame pad is made from a 30mm thick mono-block foam, and recovered in a high-density black PVC. Together they cushion any poor landings. 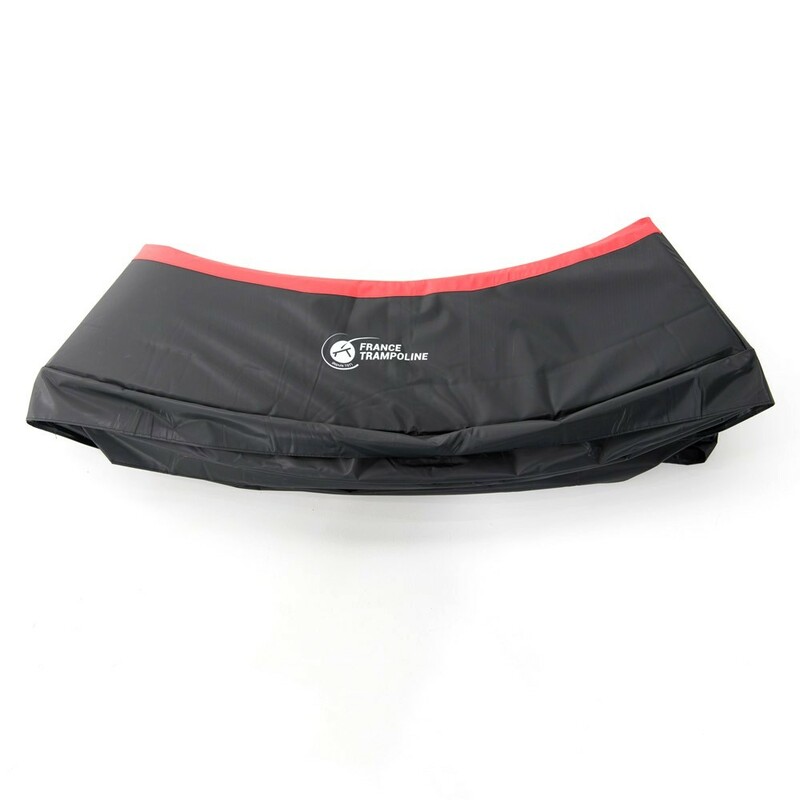 - Entirely covers the spring area: the cushion entirely covers all the trampoline's springs. Nothing should be visible and there is 0 risk that the jumper gets their feet caught in the springs. - Simple assembly: the frame pad is attached with elastics cords. All you need to do is put the elastic cord around the trampoline framework. - Available in Black: for a sporty design.